Currency for a digital ecosystem with micro-transactions. Focus on (mobile) game credits and micro payment systems. Secured decentralized network through Proof of Stake and Masternodes. 60 seconds transaction speed and low transaction fees. Due to changing the code to correct for the “Fake Stake Exploit” we are a little behind schedule. We have now launched the main net. For now we have removed the stake limit so that the network will operate with out any issues. We will be swapping coins from the defunct Respawn Project at a swap ratio of 1 RSP for 4 RLD. This is a voluntary swap however, it appears the Respawn Dev has left the project. Please visit our Discord for swap information. Hi, we can build a dedicated POW pool for your coin and I wonder if we build that, can you plz kindly listed it as official recommended pool? Itwasamusing, no need for a POW pool. This is a POS/Mn coin. The project is being swapped from a promising project where the dev lost interest. Official Swap Dates, Details, and instructions to be released very soon! Fast and near cost free transactions make Reload ideal for micro-transactions. Maximum total initial supply of 4,565,196,000 $RLD. The future dev fund will need a multi-signature approval before being spent, budget meant for development will actually go to development. Hosting a masternode will be made easier by turnkey masternode solutions as well as a one line script with a simple tutorial video of the steps. We are improving the usability of the wallet, making it easier for newcomers to navigate. Wallet tutorials and video help will be available. The core team will actively be in contact with the community to answer any question that may arise. The reload community will have representatives on discord as well as telegram available around the clock. The step from in game credits into cryptocurrency is a logical and small bridge to gap. In the future through in-game purchases (levels, skins, add-ons) players will be able to purchase $RLD with their credit card, next to trading $RLD on exchanges. We would like to keep the dialogue open with our community in regards to the direction of Reload. ▫️Exclusive sale of ONLY 20 MNs, no phase 1/2/3 non sense. We want a fair price for all. ▫️MNs must be reserved in advance on the first arrived first served basis. ▫️The swap will officially begin when the pre-sale ends. ▫️The swap ratio will be determined based on the value of RSP at the time of swap. ▫️We will do the swap is planned to be handled by Rescue chain. ▫️ Receive confirmation including screenshot and TXID of payment receipt. We have been hard at work and are not going anywhere. The Reload history starts NOW!! One more Quark algorithm coin which has hybrid block rewards for Stakers and masternode holders. And, this one focuses on Gaming industry, which is very competitive, very harsh to be successful. How good preparation the team have for the project? Whitepaper, Roadmap, and good things inside the team. Our team atmosphere is great, even with the roadblocks we have endured. Our focus on the gaming industry will be alot different than anybody else, so our success won't really be based upon others accomplishments. We do not have a whitepaper or full roadmap released yet as we are still in our infancy, and those 2 items should not be rushed just for show. Good things take time! You wrote. "An energy-saving evidence-based algorithm is used that can be mined on any computer and will never require specialized mining equipment." I liked the fact that your currency is mined in a democratic way. What protocol are you using? ERC20? :) Holle，Your project has joined the Bitcoin Park blockchain the media platform ! We do not have a whitepaper or full roadmap released yet as we are still in our infancy, and those 2 items should not be rushed just for show. Good things take time! It is better if those two publicly released. Waiting for them, and hope that they will be published soon. why new coin for POS/MN in Q4 alway use quark? First Masternode sold in pre-sale, this is one step closer to our official swap. 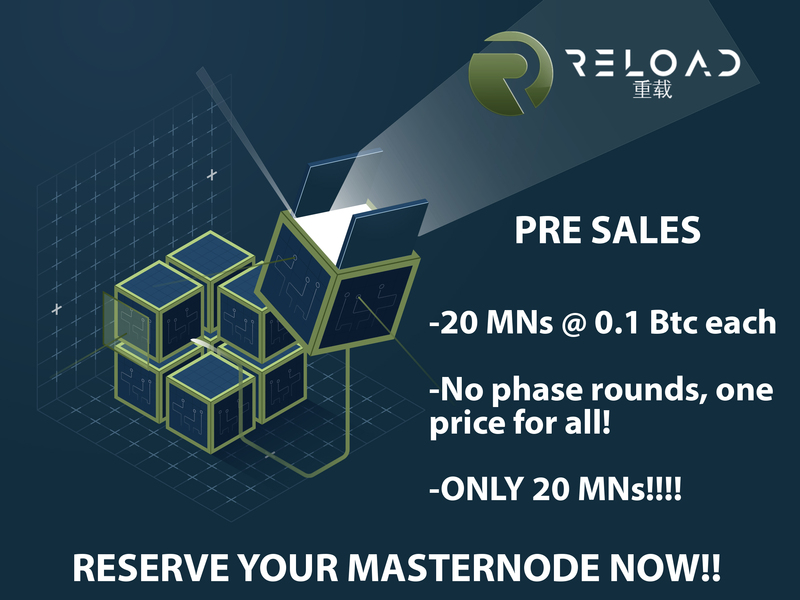 If you refer someone to purchase a Masternode, or purchase one yourself, not only will you be garunteed a profit, but you will also receive a bonus 1,500,000 RLD!!! The quicker we get this done, the quicker we can get started, and create the competitive social gaming platform that gamers deserve! Folks, we have updated some basic information. The swap with RSP will be based on the current value of RSP at the time of the swap. This is designed to allow RSP holders to swap and not loose value however it will help to secure the value of the coin for those that purchase presale Masternodes. I think we have everything updated. If you have any questions please ask. I will check in here every week or so. You can also come and check out the discord. 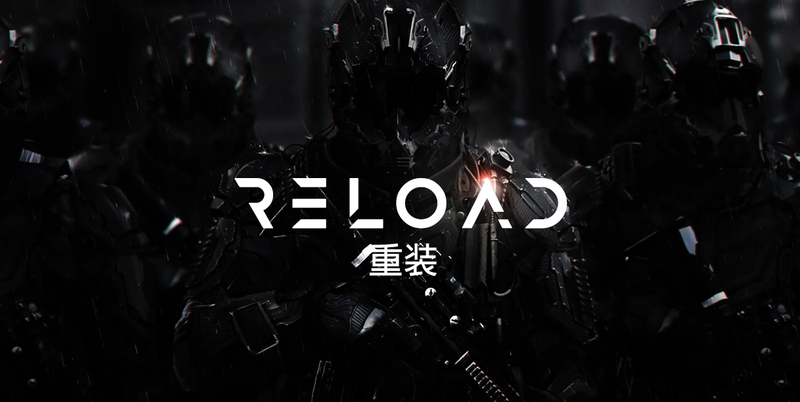 Reload is now trading on https://wallet.escodex.com/market/ESCODEX.RLD_ESCODEX.BTC (https://wallet.escodex.com/market/ESCODEX.RLD_ESCODEX.BTC).